Do I Write What I Want to Read? The words read flatly and stunk out loud. A kind of slow-moving gloom descended over me. What had happened to this essay? I worked on it for weeks and rewrote it twice. Another reading out loud confirmed my initial review: the words lay dead on the page. The culprit eluded me. Rereading no longer worked. 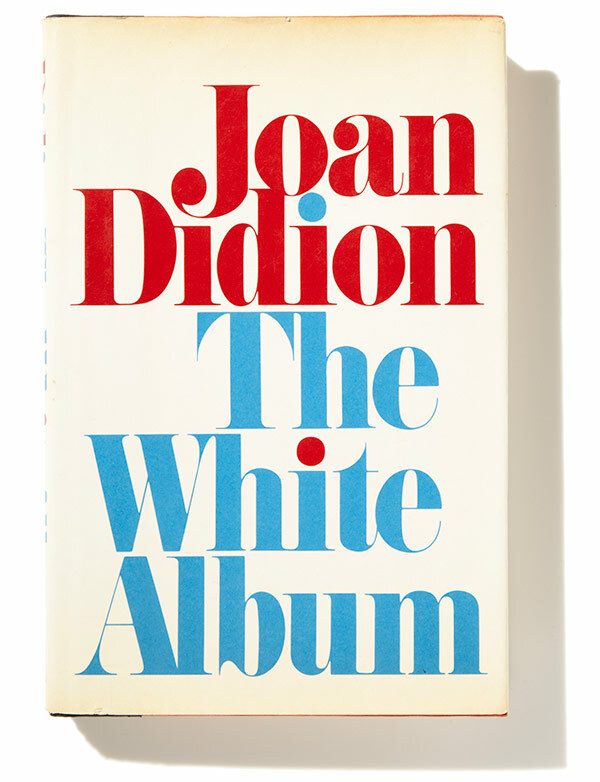 I had read it so often the words no longer meant nothing and decided to put it aside and reread Joan Didion’s The White Album. Her nonfiction work in general and the titular essay of the book in particular changed how American authors write nonfiction essays. “We tell ourselves stories to live,” begins the essay and meanders through Didion’s observations of the late 1960s California. A news story about a woman who deserted her five-year-old daughter on the median of a Los Angeles freeway is juxtaposed with excerpts from her own psychiatric evaluation. Didion’s meticulous details build an impressionistic sense of doom and make a covenant of honesty with the reader. While I may not agree with her conclusions, my disagreements result from how she interprets the evidence she gives, not the evidence itself. After finishing The White Album I picked up my essay and reread it and discovered my words lacked sensate details, honesty and a compulsion to grind more than one axe. To paraphrase George Orwell (a mentor to Didion), most of the passages lacked all meaning. The culprit I found in a series of books I had just completed. The Vietnam War colored every detail of my childhood. The nightly news broadcast napalm bombing. Soldiers visited houses on my street. Look and Life magazines published images of children older and younger than me dead and maimed. As an adult it seemed like most of my friends had brothers and fathers and cousins, sometimes women if they were nurses, who returned afflicted and affected and angry and learned to suffer in silence and alcohol. I set about understanding the Vietnam War through a reading list that included Halberstam’s The Best and The Brightest, Hue 1968 by Mark Bowden, Bloods: Black Veterans of the Vietnam War by Wallace Terry and War Torn: Stories of War by Women Reporters Who Covered Vietnam by Tad Bartimus. The words in these books educated and persuaded, some more successfully than others. All four relied on first-person interviews to support their narratives. Michael Herr wrote what many consider the best book about Vietnam and his nonfiction essays in Dispatches affected me deeply, effecting as it did a kind of something in me. That I could not point to how he had created that effect warned me to reread more carefully. I did and then understood why I had only imprecise feelings from his book. Herr’s writing lacked the skilled precision of Didion, relied on the kind of vague language loathed by Orwell and failed to separate what he thought he should feel about certain actions versus what actually happened. All of which ended up in my essay. I had forgotten the important four questions Orwell described in Politics and the English Language. (Re)armed with Didion, Orwell and Hemingway for his directness and utter lack of sentimentality, I have begun rewriting the essay. 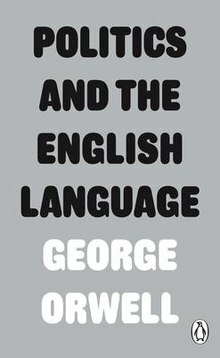 I’m pleased to say I’ve made great progress and have also begun applying Orwell’s four questions to everything I read. The experience reminded me of the importance of vigilance and honesty as a writer. My job is to write as truly as I can and get out of the way and resist the urge to explain. Nebulous language must go. Trusting myself as a writer still proves to be a challenge and one I welcome. This article originally appeared at Authors Electric.